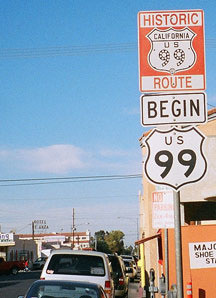 From an official standpoint Route 99 fits into the same category as Route 66: it technically does not exist anymore. 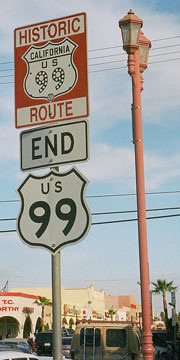 Historically US 99 was one of the country's main north-south highways, serving several of the major cities in California, Oregon, and Washington. 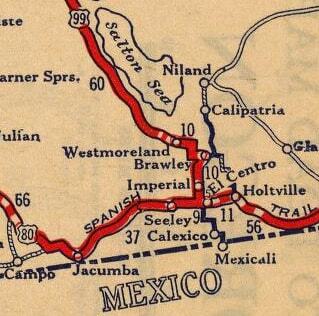 But, as was often the case with major US routes, a parallel interstate was later built through the same corridor. 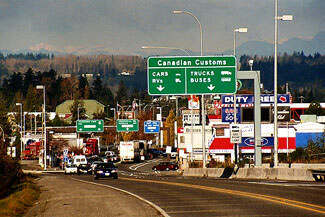 Many segments of Interstate 5 were created by expanding the existing US 99 into an interstate-quality road. 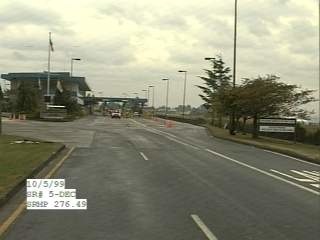 In most other areas, I-5 ran right alongside US 99, or at least roughly paralleled it. 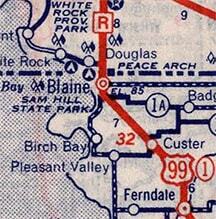 By the mid-1960s, US 99 was obsolete, and its route was stripped of the US highway designation. 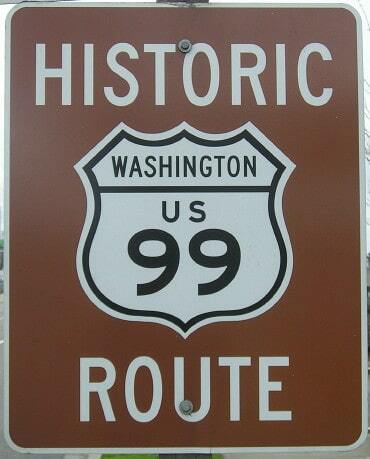 But Route 99 is also similar to US 66 in this way: today, the road segments that historically carried US 99 traffic are enjoying a rather significant revival. 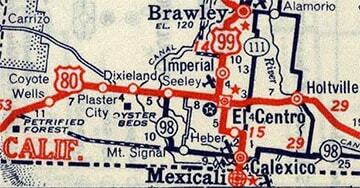 In fact, public awareness of old 99 may well be second only to Route 66. 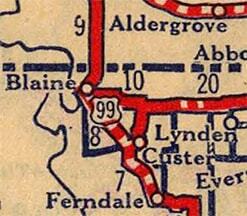 However, US 80 traffic may not have used Adams to the east (right). Instead, westbound US 80 may have come in from the right on Main Street (a couple blocks behind the camera), then north on Imperial to this point, and then continued via Adams to the left. 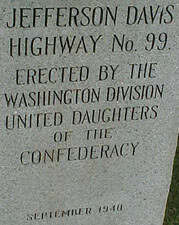 US 99 followed what is now CA hwy. 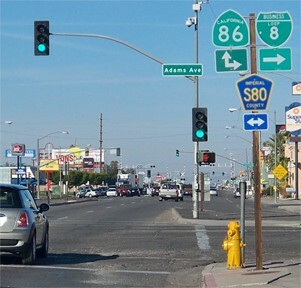 86, so either way it probably would have begun straight ahead. That was heading north on Heffernan from the old crossing. Nice signs, but unfortunately there were no further signs directing US 99 pilgrims (probably because 2nd is now one-way eastbound). 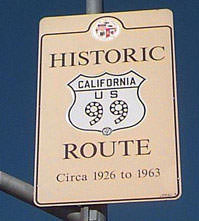 ​In 1963, the south end of US 99 was temporarily truncated to Los Angeles, because I-10 had been completed east of there, and south of Indio US 99 was redesignated as CA 86. Within three years, the US 99 designation had been decommissioned through all of California, and by 1969 Oregon and Washington had followed suit. 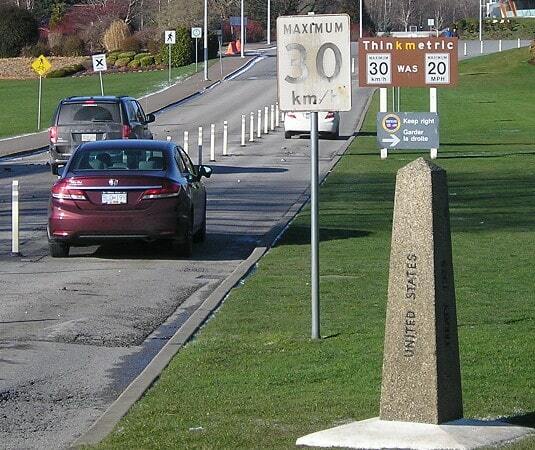 As of 2003, that marker had been temporarily removed -- or perhaps permanently -- for political reasons. last updated Mar. 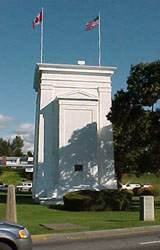 9, 2019.